Personal Halloween project. Paper Mache, cardboard, paper clay, sculpey, paint, fabric, wire, sequins, felt and faux fur. Custom witch "madball" made as a gift using Das paper clay, sculpey, acrylic paint and a found cat bone. 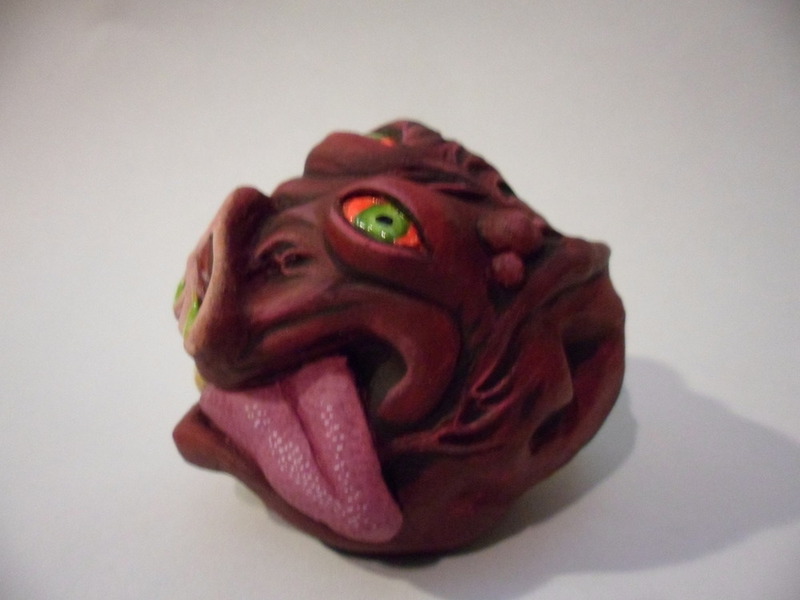 Custom creature "madball" made as a gift using Das paper clay, glue and acrylic paint. 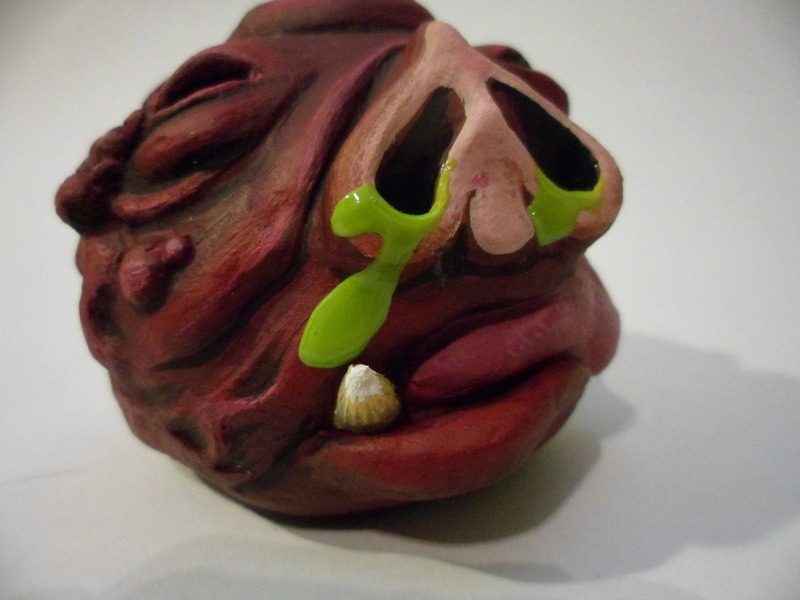 Custom venus flytrap "madball" made as a gift using Das paper clay, sculpey and acrylic paint. Personal project for gift. 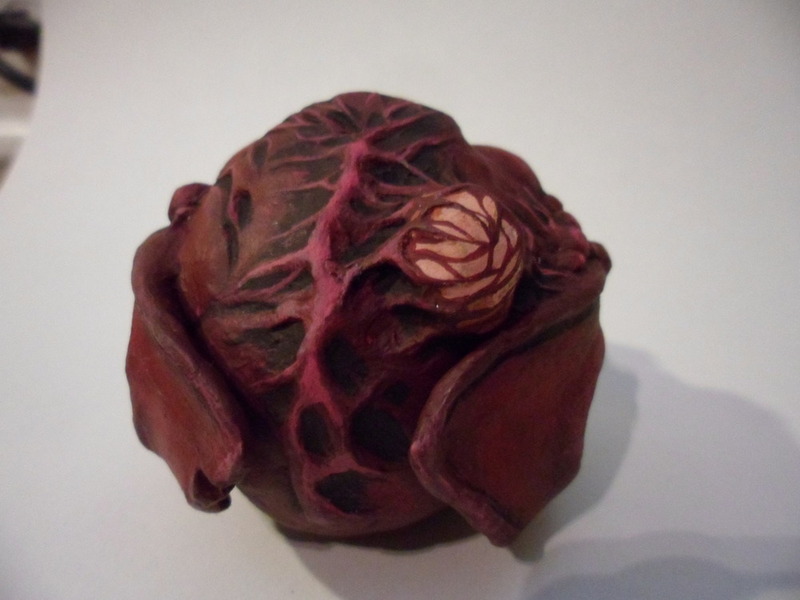 Mini madball made of sculpey, paint and glass eyes and beads. Handcarved wooden divination pendulum with painted lapis faux finish and painted setting design. Hand-carved from bass wood and painted with acrylic paint, finished with silver leaf. Handpainted pin painted on a prebought wooden shape. Handcarved and painted wooden talon pendant. Handpainted cicada pendant, gouache on wood set in a prebought wooden coffin setting. Handpainted and silver leaf wooden eye pins and pendant.